One of the many risks that come with invasive surgery is the possibility that blood clots can develop during or after the procedure. 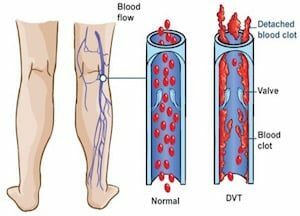 These blood clots, also known as Venous Thrombosis or Deep Vein Thrombosis, can be fatal if not prevented, discovered, or treated immediately. 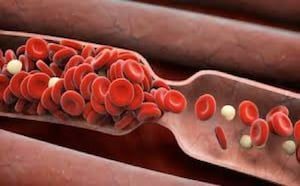 Sadly, tens of thousands of Americans die each year because of such blood clots. When doctors, nurses, and other health care staff fail to take appropriate precautions to avoid clot formation or otherwise fall below the standard of care and a patient suffers or passes away as a result, the patient or their family may have a claim for compensation. The Washington DC blood clot lawyers at The Rich Firm, PC can help. Our experienced and tenacious personal injury attorneys, a number of whom are also licensed physicians, have a long track record of obtaining successful results on behalf of victims of medical malpractice and surgical errors. During and after surgery, or after suffering some form of physical trauma, blood clotting around the site of the surgery or injury is part of the body’s natural healing process. Venous Thrombosis occurs when clots form in veins in other parts of the body, especially in the legs. When parts of a blood clot break off and travel to other parts of the body, including the lungs, that is when the clot can be fatal. Undetected and untreated Venous Thrombosis can lead to heart attacks, stroke, and pulmonary embolisms (a blood clot which moves through the heart to the lungs). Occurrences of potentially deadly blood clots after surgery are all too common. In fact, one study concluded that Deep Vein Thrombosis and associated pulmonary embolisms are one of the leading causes of preventable hospital deaths in the United States. According to the Centers for Disease Control and Prevention, between 60,000-100,000 Americans die of these conditions every year in the U.S. Of those, 10% to 30% of those deaths occurred within one month of diagnosis. Prolonged inactivity, such as sitting on a very long flight, can lead to the formation of blood clots. Since surgical preparation, the surgery itself, and post-operative recovery involves long periods of patient inactivity, doctors need to take proactive steps to avoid clots and be vigilant in monitoring for the development of any clots during and after surgery. For example, physicians should evaluate a patient prior to surgery to determine whether they are at particular risk for venous thrombosis (due to factors such as smoking, obesity, age, or history of clots). If the patient is at risk, blood thinners may be prescribed to reduce the chances of deadly clotting. After surgery, pressure socks may be recommended, and the patient also may be encouraged to walk around as much as possible. If doctors and other medical personnel fall below the standard of care in evaluating a patient’s risk for clots and fail to take the appropriate steps to prevent and treat such clots, they may be liable for damages if any serious injuries occur or a patient dies as a result. At The Rich Firm, PC, several of our experienced Washington DC Venous Thrombosis lawyers are also licensed medical doctors. This unique combination of medical training and legal experience allows us to efficiently identify potential medical malpractice and surgical errors without the need for outside experts. This can save our clients the delays and expenses normally associated with expert review of your medical malpractice case. No one should have to suffer because of the negligence of those responsible for our care, health, and well-being. When the doctors and medical professionals we trust with our health and well-being are negligent and a patient is injured or dies as a result of preventable Venous Thrombosis or other surgical errors, The Rich Firm, PC can help. Our medical malpractice lawyers serving Washington DC, Maryland, and Virginia stand ready to provide experienced and aggressive legal representation. Please give us a call at 888-RICH-LAW (742-4529) to set up your free consultation or contact us online. We look forward to assisting you.